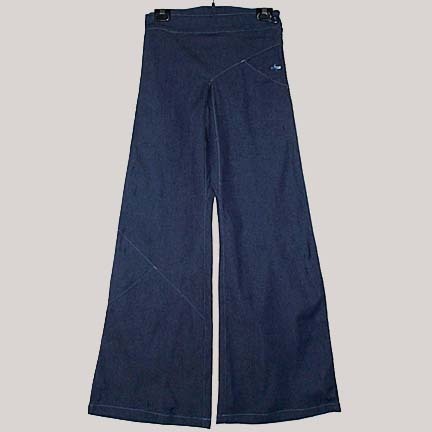 Geek Boutique Clothing Algorithm Pant - Womens stretch denim or twill pant. baby blue stitch detailing. side zip closure. bottom slit pocket. This pant actually fits one size up. If you are size small - you should also fit into the xs.